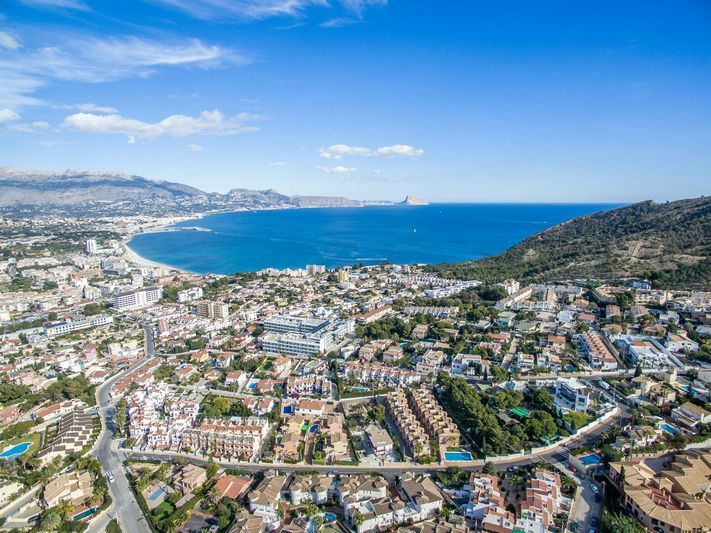 Albir belongs to the municipality of Alfaz del Pi (Alicante) and is one of the most beautiful areas of the Costa Blanca. It has a typical Mediterranean climate with hot summers, mild winters and very little rain. 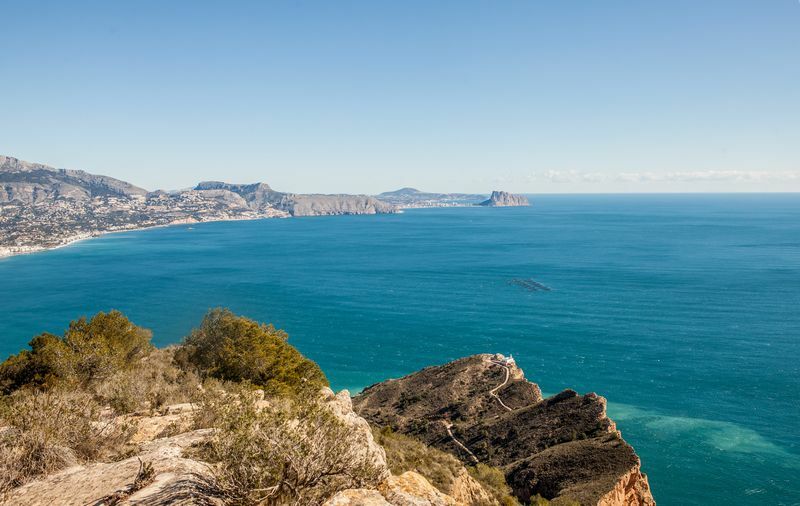 With over 300 days of sunshine and blue sky annually, this city is one of the favorite tourist destinations on the Costa Blanca. 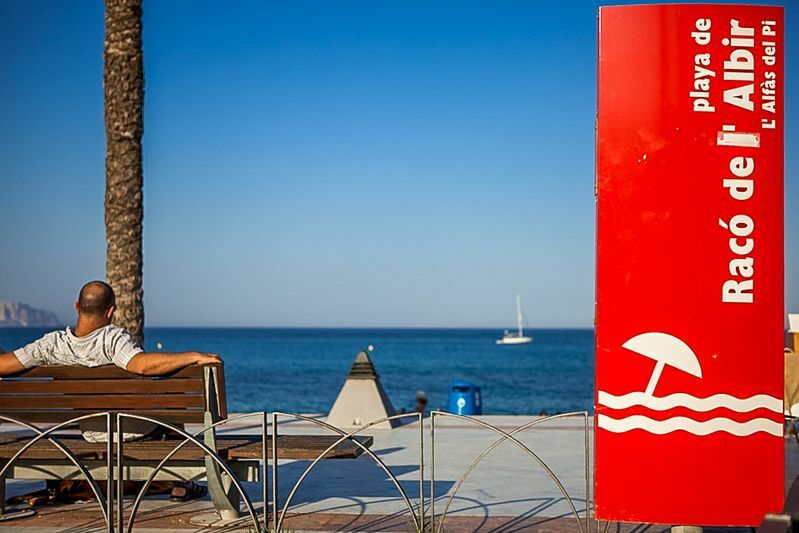 From Albir you can easily reach the airports of Alicante, Valencia or Murcia. 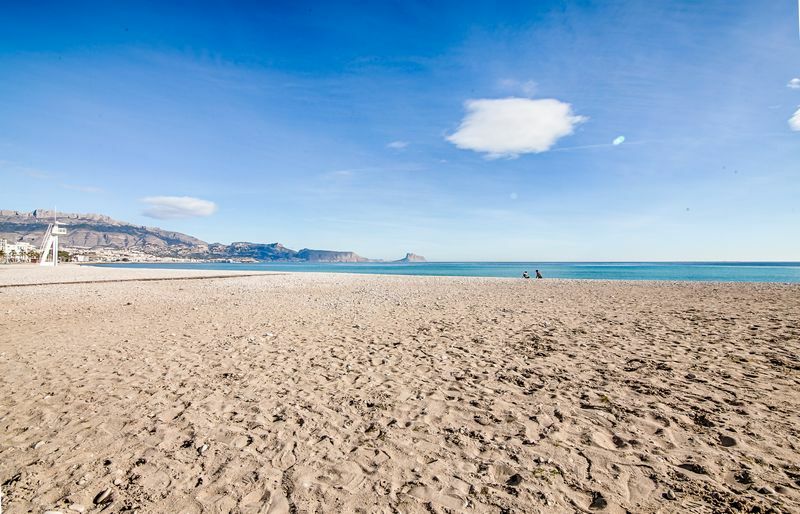 Albir beach is flooded with turquoise and crystal clear water, is about 600 meters long and has the ‘blue’ flag. 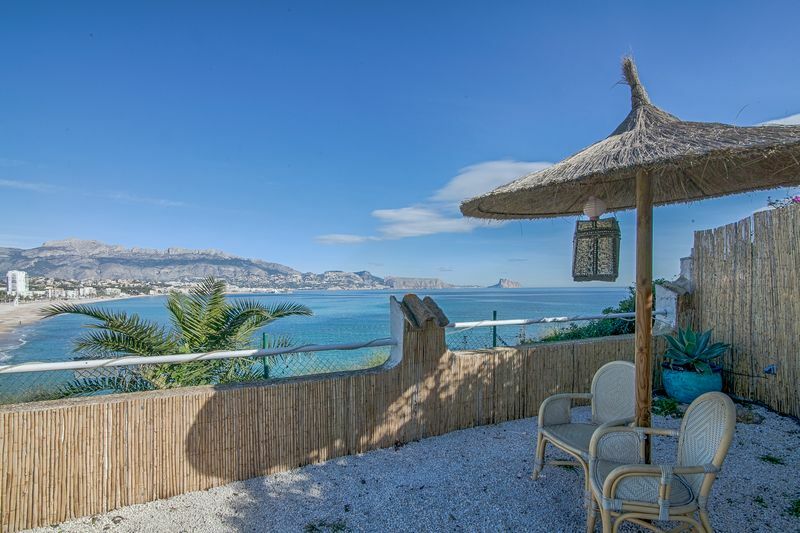 It is located at the foot of the Sierra Helada and from the Faro del Albir (the lighthouse) you can enjoy spectacular views of the Peñon de Ifach in Calpe. 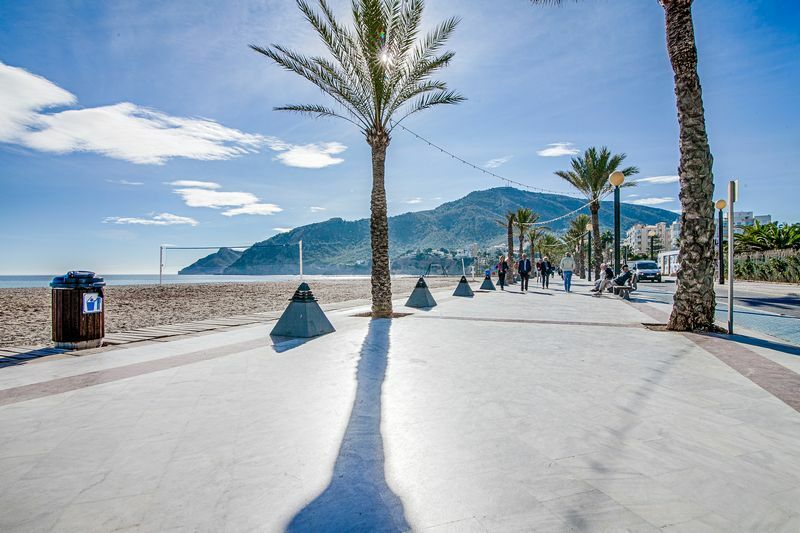 “El Paseo de las Estrellas” or “The Walk of Stars” runs along the beach and is the characteristic of El Albir. 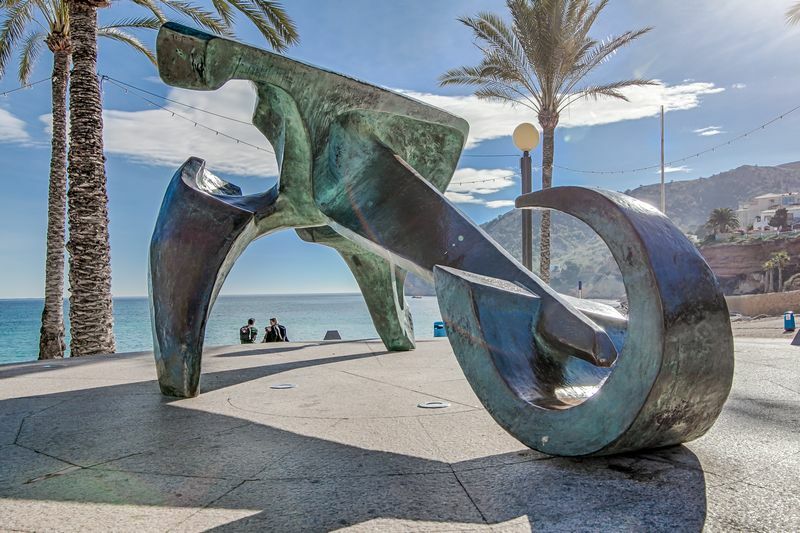 Along this beautiful Paseo you will find a multitude of cozy restaurants that are open all year. Every Sunday in Albir there is a diversified market, where you will find, among other, the delicious fruits and vegetables from the area. 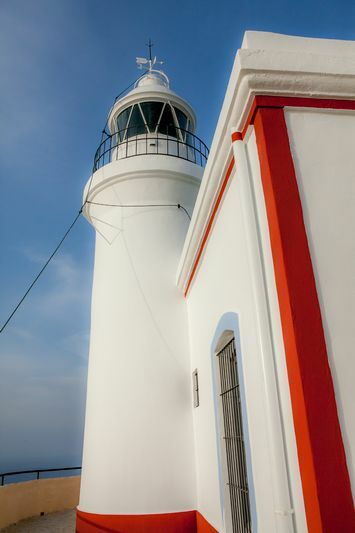 Moreover, throughout the year there are several outdoor cultural activities organized. 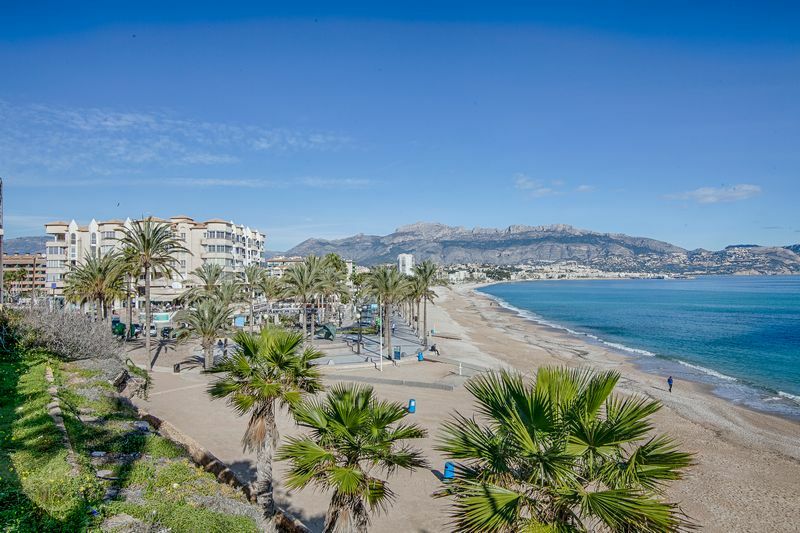 Albir has a perfect location; it is just 4 km from the beautiful town of Altea, 8 km from Benidorm and 45 km from Alicante.